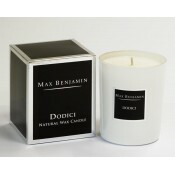 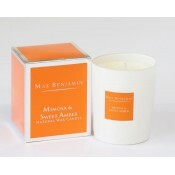 Treat your senses with the calming ambience of a beautiful scented candle. 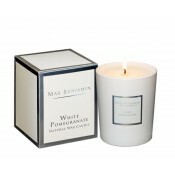 From fresh lemongrass and ginger to fig, there are lots of scents to choose from and try. 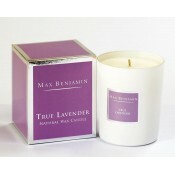 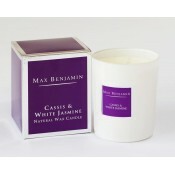 Max Benjamin True Lavender Diffuser This True Lavender soothing diffuser by Max Benjamin is made fr..
Max Benjamin Grapefruit & Pamelo Diffuser This Grapefruit & Pamelo energising diffuser is i..
Max Benjamin Mimosa & Sweet Amber Diffuser The delicate top notes of green leaf, a gentle heart..
Max Benjamin Cassis & White Jasmine Diffuser Cassis & White Jasmine energizing diffuser has..
Max Benjamin Dodici Diffuser Dodici diffuser is a stylish fragrance with oils of Rosemary, Sicilian..
Max Benjamin White Pomegranate Candle This beautiful White Pomegranate candle by Max Benjamin infus..
Max Benjamin Mimosa & Sweet Amber Candle This Mimosa and Sweet Amber candle by Max Benjamin is ..
Max Benjamin Cassis & White Jasmine Candle This energising Cassis & White Jasmine candle ha..
Max Benjamin Dodici Candle Max Benjamin Dodici candle is a stylish scented candle with oils of Rose..
Max Benjamin While Lillies Candle Open the box to unleash the distinctive aroma of one of nature's ..
Max Benjamin True Lavender Candle This Max Benjamin True Lavender soothing candle is made from blen..
Max Benjamin Lemongrass & Ginger Candle Max Benjamin Lemongrass and Ginger fragrance has an upl..